Some days have more interesting things than others and today was a good one. First I thought you might like to see what we use as insecticide. 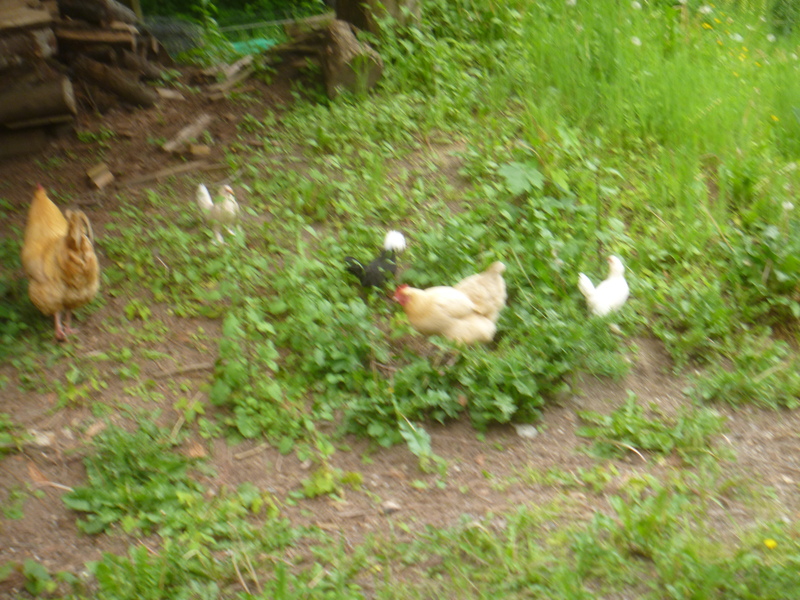 These are the baby Bantams you saw two months ago. 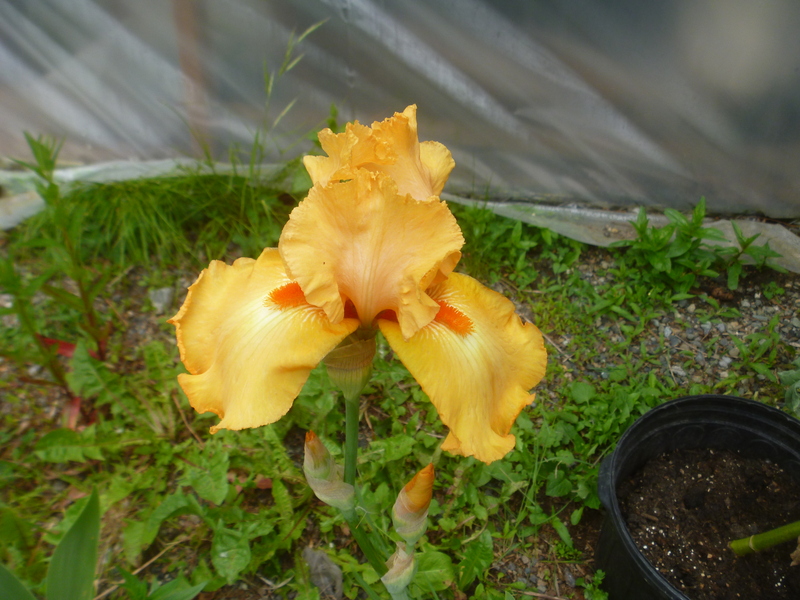 Another beautiful iris has opened. The first broccoli of the season from our garden. The one was absolutely delicious for lunch and I may have been a little over exuberant on the other and picked it a bit too soon. But I’m sure it will also be delicious. I was asked to make a quilt top for a baby girl arriving in July. When I asked what color, I got no response. Since she will be flooded with pink, I decided on something a bit different. What do you think? For backing, I’ve picked out this fleece. They are now mounted on the quilting machine. My thinking was that they will be able to use it with the next baby, even if it is a boy. Any guesses how long it takes to get back to this project? I saved the bad news until last. The coyote came to visit when the dogs were in the house because the neighbor thinks they are noisy at night (coyotes live in his yard) We now have only two geese left. Oh, no, sorry about the loss of geese. 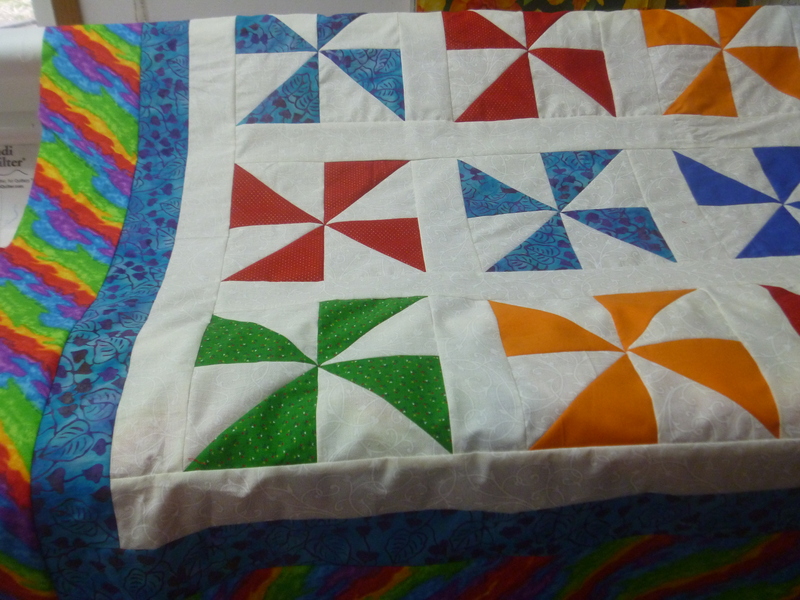 Baby quilt is adorable, and bright colors for babies are in. Boy, your broccoli looks good, and the yellow iris is WOW! The roadrunners, wild, have been Corky’s insecticide. Thank for the kind comments. I had no idea roadrunners ate insects.